Lars von Trier, the mastermind, the provocateur and enfant terrible of art cinema, takes on the apocalypse – where can he go from there? He has already explored good and evil, right and wrong, dominance and submission – what could he possibly try to examine when he wants to do away with it all? The threat of annihilation comes in the shape of a foreign planet, supposedly passing the Earth to never return again. But the potential imminence of extinction is delayed by the depiction of a lavish wedding ceremony. And Lars von Trier does what Scandinavian directors do best: dissecting the sensitivities and insecurities of the upper middle class family and zooming in on its decadence and self-annihilation. We have the depressed career woman, the emasculated husband, the self-sacrificing sister, the 2nd wave feminist hippie mom turned cynical old hag, the womanizing father and the mansplaining science adherent and brother-in-law. Von Trier seems to stay true to his style: The shaky hand-held camera aesthetic is reminiscent of Dogma days, but he also kept some of the artificial tableau-like shots he did so well in Antichrist. Most importantly, he still loves his female protagonists; that is, he loves to torture them. I cannot imagine it was just a coincidence that he chose a depressed actress to play a hysterically depressed character. Von Trier may be taking his leads over the edge, but he always gets the best out of them. And so Charlotte Gainsbourg and Kirsten Dunst get to play immensely dynamic and complex roles, and play it well, and the atmosphere is really gripping and everything is beautifully shot, and I keep thinking to myself: I would totally love this movie… – if it hadn’t been directed by Lars von Trier. Because in the end the planets go BOOM! and I am left with… indifference? After watching a Lars von Trier movie? After all, he is the guy who did Dogville and Manderley and Antichrist, for heaven’s sake! Movies you could either love or hate, but they sure made you think for a very long time after the credits rolled. I remember leaving the theater after watching Antichrist for the first time, and I was angry and overwhelmed and I needed to talk to other people about it to find out why I was so enraged by all of it. After Melancholia I felt strangely relaxed. It ended just like it was supposed to end. I felt good about it, which is not the reaction I expected, especially since the film is anything but life-affirming and optimistic. Which, I guess, says a lot about my character and world view. Maybe all the Claires out there in the world are going to be really overwhelmed and moved after watching Melancholia, and all the Justines will be calm and slightly unfazed, because they have been ready for it all along and it doesn’t erode their world view. I am a Justine. Who are you? Ode to the Apocalypse, or Why are we so disaster-crazy? 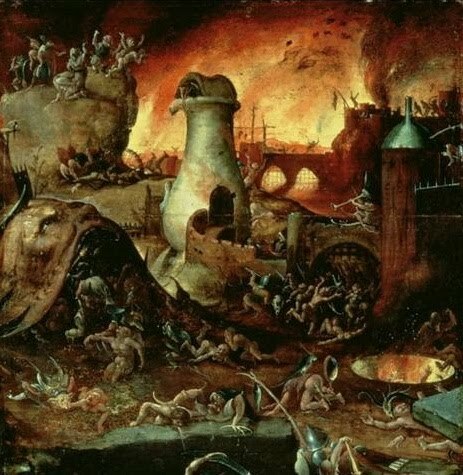 Posted on August 14, 2011 | Comments Off on Ode to the Apocalypse, or Why are we so disaster-crazy? We live in strange, exciting times, indeed. While still battling with the consequences of Katrina, the Haiti earthquake and the oil spill, we have seen revolutions and uprisings in the Middle East, earth quakes in New Zealand and Japan, and the resulting nuclear crisis. But then the news became a little less alarming, a little less exciting. Stagnant death tolls in Syria and Lybia, and the Japanese went back to normal, a sign of their rationality. We turned off the news, stopped checking our Twitter accounts because we got bored and, frankly, a little disappointed. Why do we secretly crave more disasters, and, consequently, more human suffering? The truth is that we’re not sadists; we’re masochists. The tingling in our stomachs we feel when reading about a possible melt-down in Fukushima is not the confirmation of our anti-nuclear stance; it stands for “I told you so, stupid incredulous self, that we’re approaching the end of the world as we know it.” And it seems to make so much more sense, because it feels more imminent than, let’s say, the melting of the polar ice caps. A few years ago I went to see an exhibition of James Nachtwey’s work, those controversial photographs of human disasters: poverty, diseases, war zones. When I left the building, I was terrified, yet strangely bewildered as well. I realized that the images that struck me the most, the ones that were most powerful and memorable in my mind, were not the ones depicting children dying of AIDS or starving people too weak too even walk. 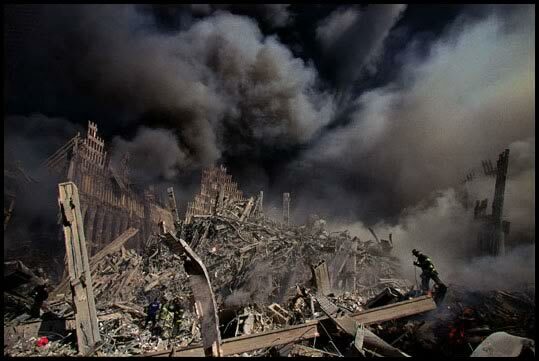 The pictures that affected me the most were those of the immediate aftermath of the September 11 attacks. The ultimate apocalyptic landscape: streets covered in debris, empty buildings disintegrating into dust which fills the air in a poisonous plume. These images are powerful. They are the modern version of a Hieronymus Bosch painting, except that Bosch used his imagination to create Hell; here we have it in reality. In the end the hell he imagined was just a projection of his own distorted mind, tainted with and inspired by a religion of guilt, shamefulness and perversion. Similar to this, our way of dealing with images of disaster is the projection of our own fears and suspicions, finally confirmed by the photograph as proof. 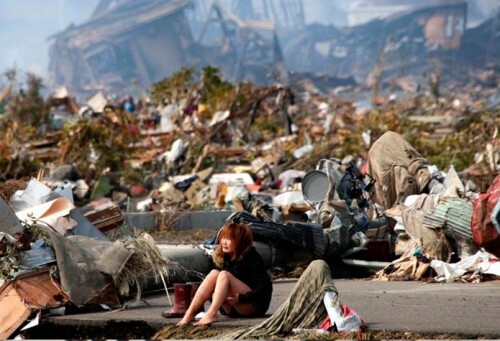 The image of the young Japanese girl sitting and crying amongst the debris and rubble inspires sympathy, but even more so because she is us. She is no Sudanese woman dying of starvation due to an endless cycle of poverty; she is no Haitian woman getting raped in a makeshift ghetto in Port-au-Prince, she is not a Somalian man drowning in the stormy Mediterranean sea. She is us – civilized and privileged, going to school, owning property, spending Christmas with her family, and all of that has been taken from her, abruptly. A suspicion we’ve nurtured for a long time suddenly is confirmed: we’re doomed. The society that we grew up in, the lifestyle we live day to day, we may not question it on a daily basis, but instinctively we know, that this world order is build on quicksand, ready to swallow us any minute now. And the reason why we can live with that, the reason we keep sitting still and playing the game, is that secretly we know we don’t deserve any better. This is what I wrote a few months ago and look where we are today: US political quarrels threaten the world economy, a fanatic right-winger kills teenagers, and in London the youth is demonstrating that they have nothing to lose. That is what makes the headlines and that is what we (and I am not excluding myself here) think and talk about. Fair enough. Because there is nothing left to say about those millions of Somalian women and children starving to death right now; they have somehow become an inevitable part of the picture, silently merging with the background because they don’t have a voice. They don’t have anything to set on fire that’s valuable; hell, they don’t even have anyone to shoot who isn’t already dying! Yet they should be and they are the most obvious, the most direct in-your-face evidence that something is going massively wrong in this world. With everything that’s been happening, why is everything still the same? Comments Off on Ode to the Apocalypse, or Why are we so disaster-crazy?